Trim your lawns, rev up your lawnmowers and get out your planting pots – PopCap Games’ Plants vs. Zombies 2: It’s About Time officially drops this summer, and you’ll be able to play it without paying a dime. The sequel to one of the most popular tower backyard defense titles of all time – and arguably one of the most popular mobile titles of all time, second perhaps only to the Angry Birds franchise – was first announced last year, with its existence confirmed in May with a teaser trailer. Now, a new trailer unveils some more details on the game, including a solid release date – July 18 – and some gameplay details. When PopCap unveiled its teaser trailer last month, viewers would be forgiven for thinking the game’s subtitle, It’s About Time, referred to fact that the sequel to one of the most popular games of all time still wasn’t out nearly four years after the first game’s release (indeed, that teaser featured fans from all walks of life loudly demanding to know when Plants vs. Zombies 2 would release). 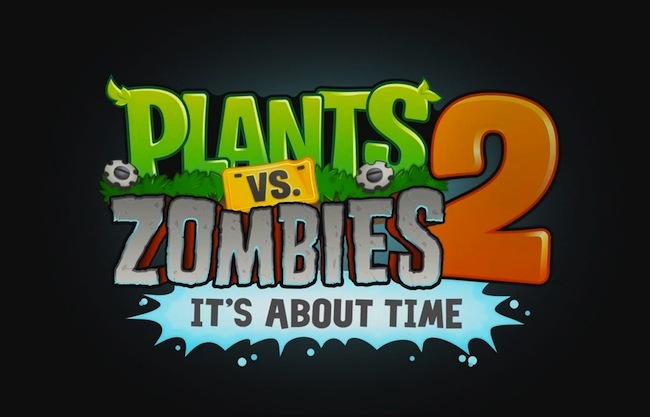 In fact, that subtitle refers to the fact that the game apparently deals heavily with time travel – players will use foliage to battle the undead in eras past and future. PopCap has so far confirmed that Ancient Egypt, the Wild West and Pirate Seas are eras players will visit. The game will be free-to-play, first releasing for iOS systems – iPhone, iPod Touch and iPad – before likely releasing for every known gaming platform known to man, if the first game is any indication. In-game items and other upgrades will be available to purchase, but PopCap has confirmed that players can experience everything the game has to offer without spending a dime, should they so choose. The game will also feature new play-styles, including new touch-screen power ups allowing players to interact with zombies directly (instead of just throwing plants at them). Are you excited for more Plants vs. Zombies action? Do you plan to pick it up when it’s available July 18? Let us know in the comments.